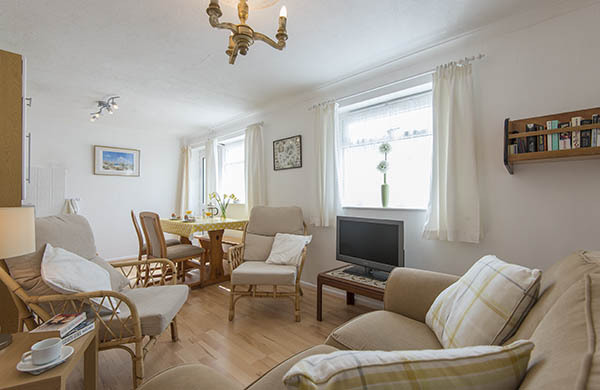 A popular holiday home set in a quiet location, just 25 yards from Town Beach and a five-minute walk to the centre of Hugh Town. Sleeps two in a twin room and equally suited to the lone traveller. 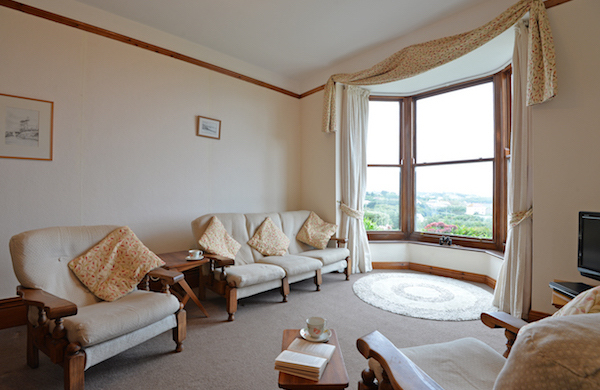 If you are looking for a room with a view then look no further than this elegant Victorian building with spacious rooms throughout. Sleeps six in one double, one twin and one bunk room. Altamira takes in the sights of St Mary's harbour, Bishop Rock lighthouse and glorious evening sunsets from the comfort of your armchair. Sleeps four in one double and one twin room. 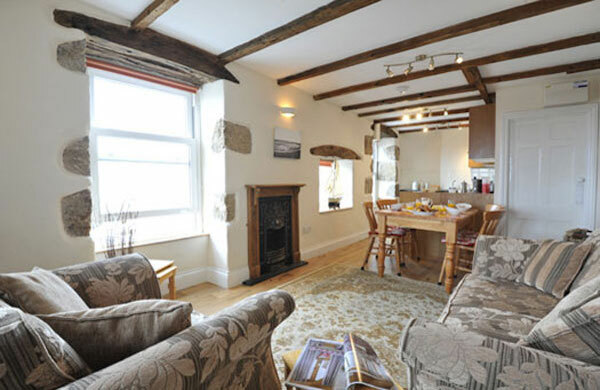 A delightful holiday home with a wealth of character and part of the oldest group of cottages in the heart of Hugh Town. Sleeps four in a twin room and a bunk room. 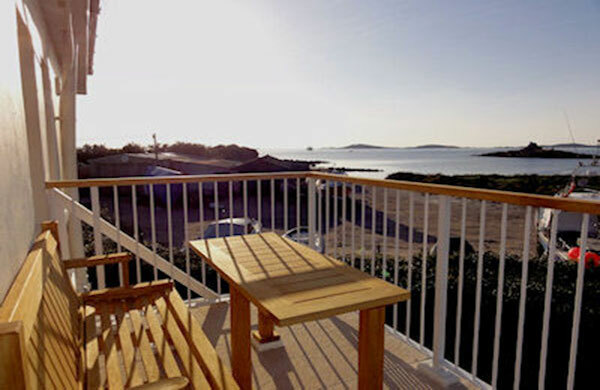 An attractive apartment set in the hub of island activities with stunning sea views across to Samson, Bryher and Tresco. Sleeps two in a double arrangement. 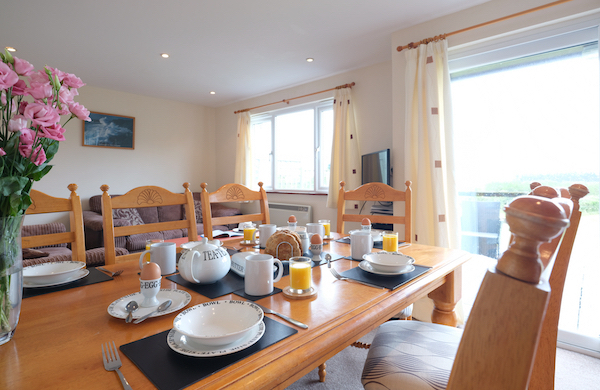 Spacious rooms and a central location with stunning views makes An Treath an ideal choice for families and groups of friends. 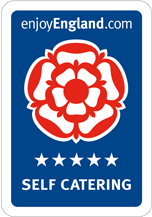 Sleeps six in one twin and two double en-suite bedrooms. 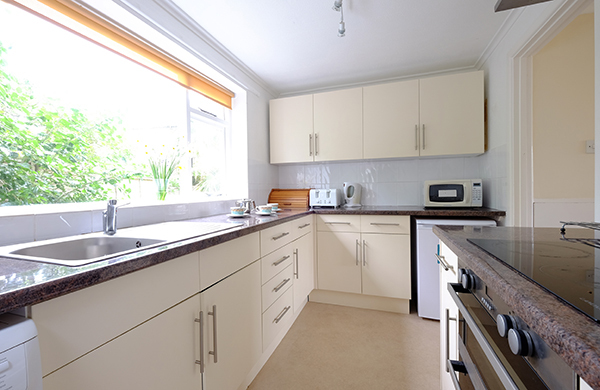 Ground floor apartment presented to a high standard throughout. 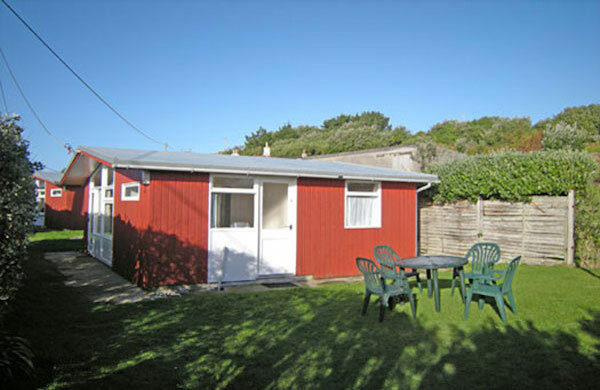 A five-minute walk from the heart of Hugh Town and 50 metres from Porthcressa beach. Sleeps two in a double room. 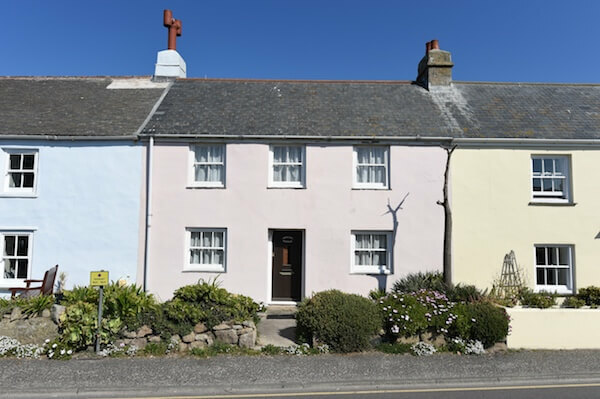 A charming double-fronted cottage facing an attractive park and conveniently located for the shops, restaurants, quay and beaches. Sleeps six in one double and two twin bedrooms. 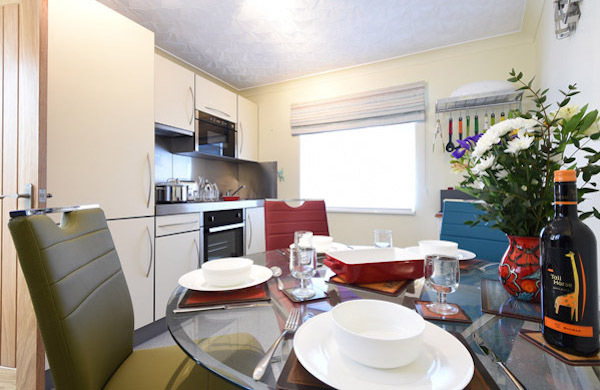 Attes is within easy reach of all local shops, pubs and restaurants, while the quay is only a five-minute walk away. Sleeps four in a double and twin arrangement. 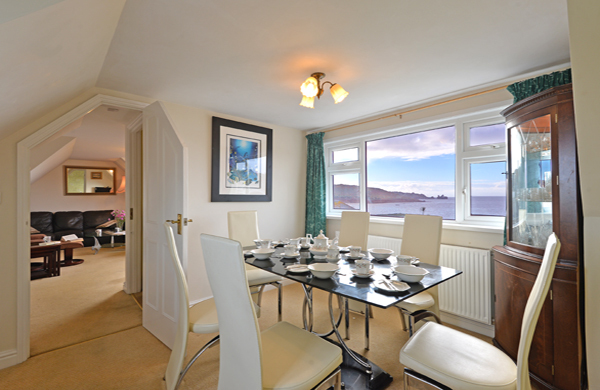 A beautifully appointed luxury apartment laid out across two floors and boasting stunning sea views. Sleeps eight in one double, one twin and a family room. 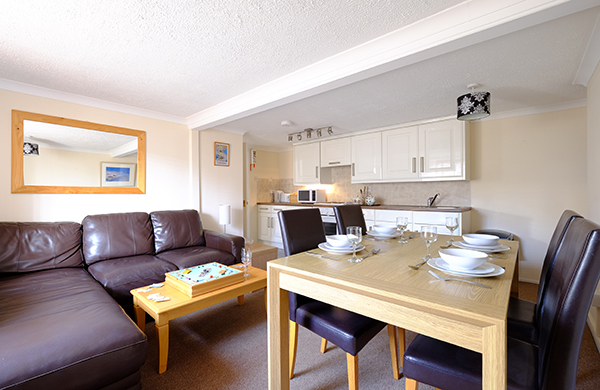 A five-minute walk from the town centre and a two-minute stroll from stunning coastal walks and beaches, An Tigeen sleeps two in either a double or twin arrangement. 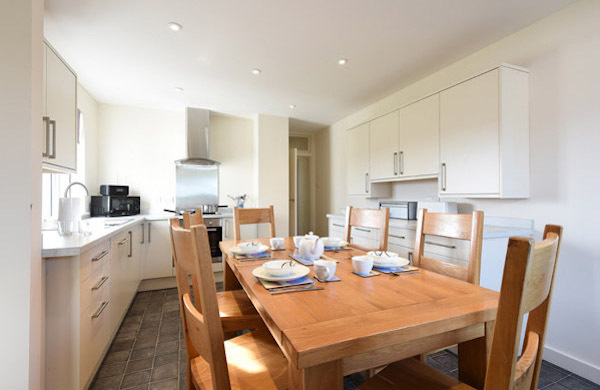 A five-minute walk from the town centre and a two-minute stroll from stunning coastal walks and beaches, this ground floor apartment sleeps two in either a twin or double arrangement. 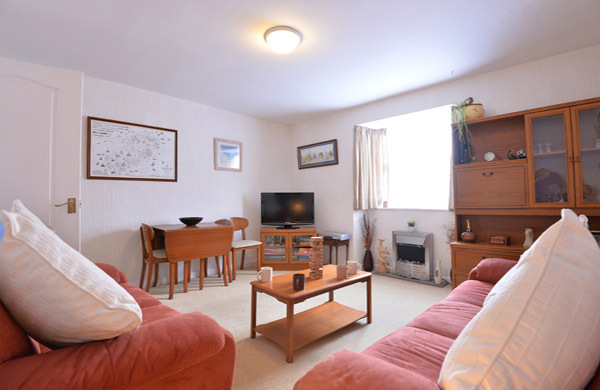 A comfortable second floor apartment located just off the main street in Hugh Town and within a two-minute walk of Porthcressa Beach. Sleeps two in a double arrangement. Spanish Ledge is one of the most striking buildings in Hugh Town and was converted into holiday apartments several years ago. Flat 3 is on the first floor and sleeps two in a twin bedroom. A sought after holiday home set in the heart of Hugh Town and presented to a high standard throughout. 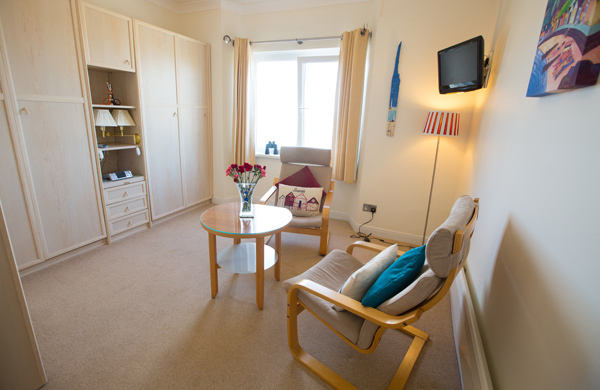 Both bedrooms can be made into either a double or twin arrangement. A luxurious ground floor apartment nestled in the countryside about a mile-and-a-half from Hugh Town. 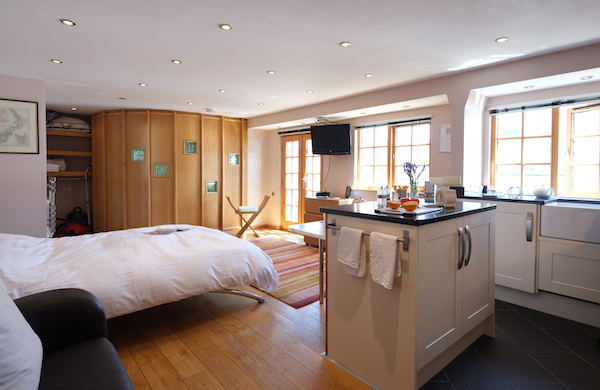 Sleeps up to seven guests in four en suite bedrooms, two doubles, one twin and one single. 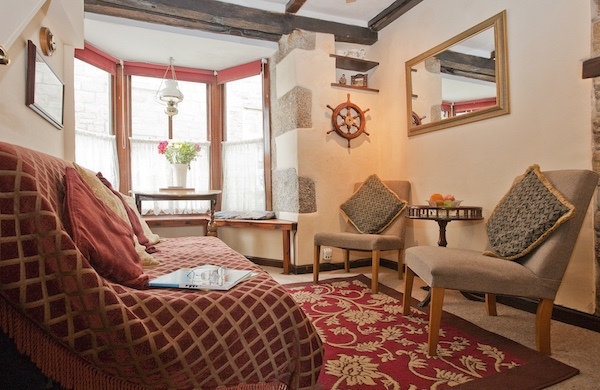 This traditional cottage in the heart of Old Town contains all mod cons and offers luxury for up to six guests in two en suite double bedrooms and a twin bedroom with private bathroom. 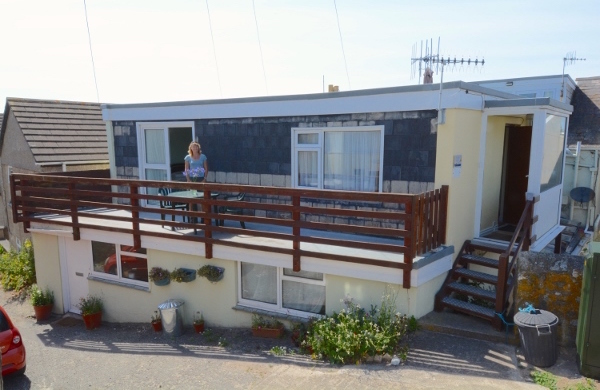 One of our most popular holiday homes over the years, and as its name suggests, this ground floor flat is situated right on the beach and sleeps two in a double bedroom. This popular first floor apartment is a two-minute walk from the centre of Hugh Town and commands magnificent views of the harbour and islands beyond. Sleeps up to 4 in a double or twin bedroom plus bed settee. 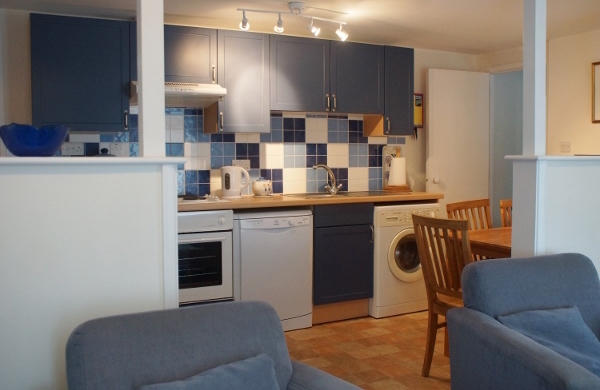 A stylish studio flat presented to an immaculate standard throughout. 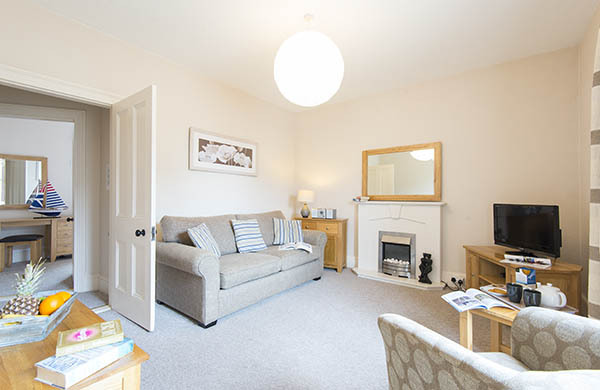 Ideally positioned with all the facilities of Hugh Town within easy walking distance. Sleeps two in a double arrangement. 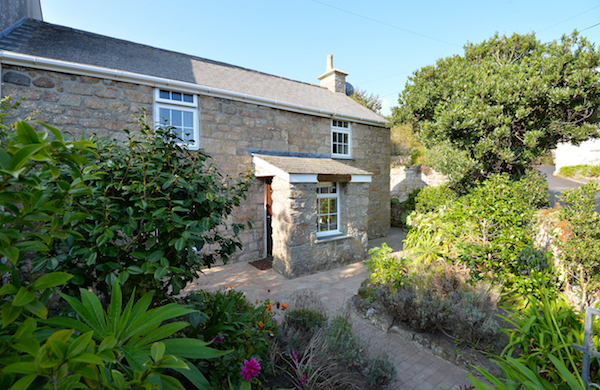 A cottage, built in excess of 150 years ago, one of a row of typical fishermen's cottages situated very close to Porthcressa beach and centrally situated for the town's amenities. 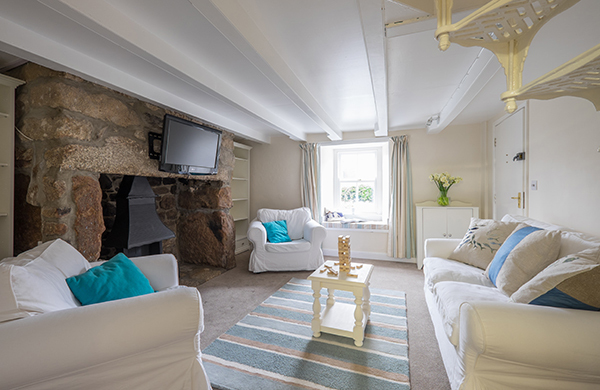 The cottage has been very tastefully renovated, attractively furnished and well equipped to provide accommodation of a high standard. 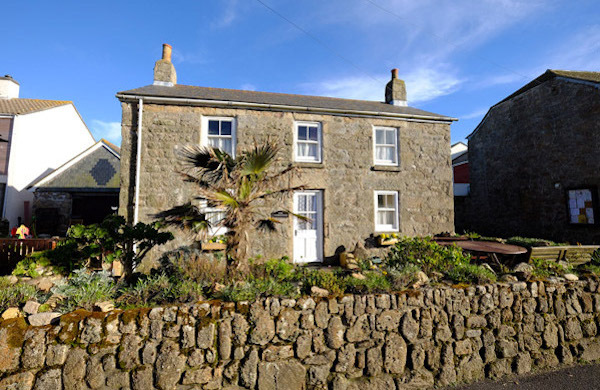 A picturesque Scillonian cottage that oozes character and is ideally located with almost all local amenities on the doorstep. Sleeps four in one double and one twin room. 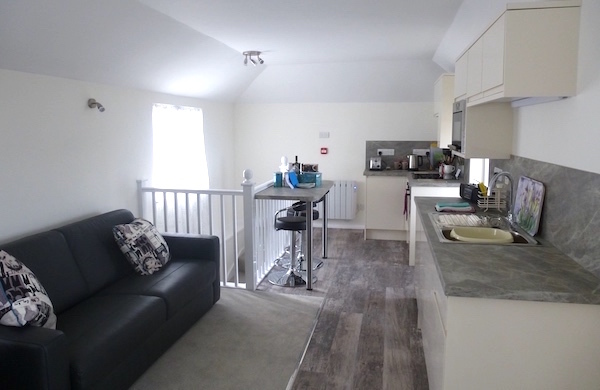 A compact and cleverly designed ground floor bijou residence in the heart of Hugh Town, perfectly placed for the quay and all local amenities. Sleeps two in bunk beds. 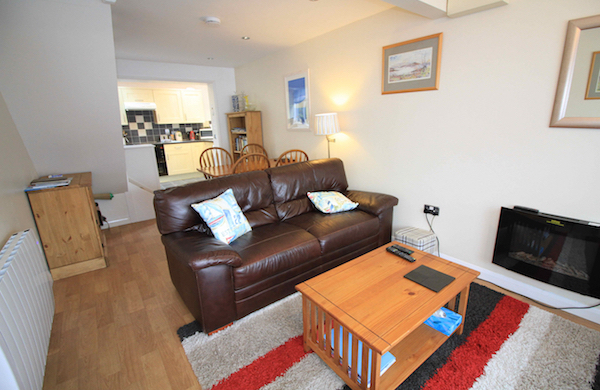 A well-appointed holiday home that is ideally located for shops, beaches and the quay. 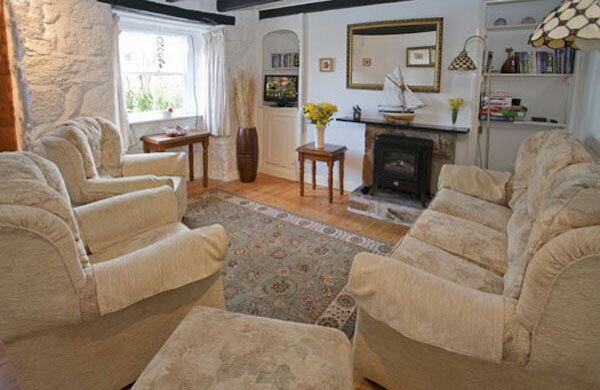 Church Hall Cottage sleeps five in one double, one twin and one single bedroom. 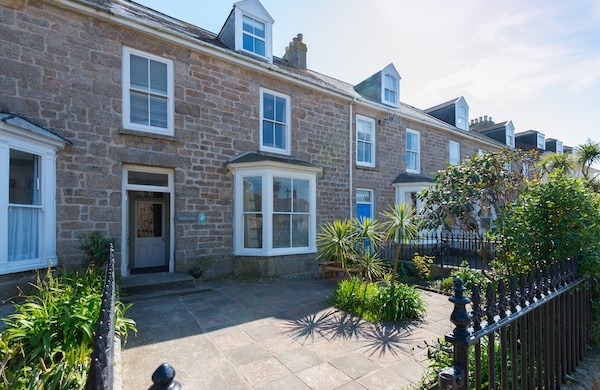 A ground floor apartment situated a five-minute walk from the heart of Hugh Town and also convenient for local beaches and the quay. Sleeps two in a double arrangement. 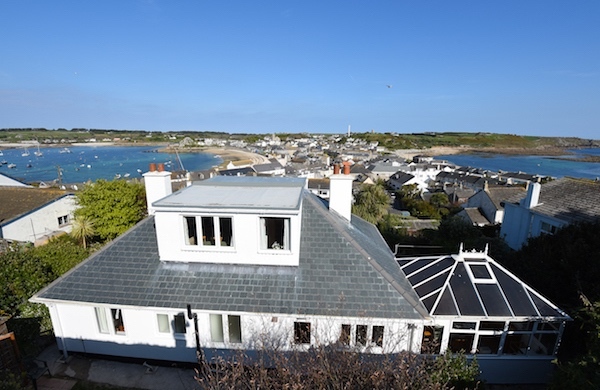 A magnificent residence with stunning views over Hugh Town towards Porthcressa Bay. A luxury base for families and groups of friends. Sleeps six in one double and two twin bedrooms. 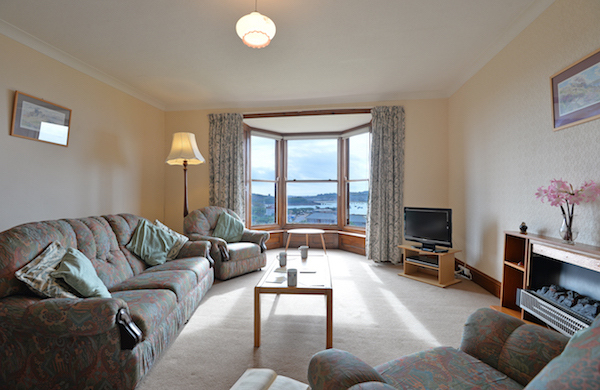 A well-presented apartment offering stunning views of St Mary’s harbour and the islands beyond. One double and one twin bedroom make it perfect for families or friends sharing. 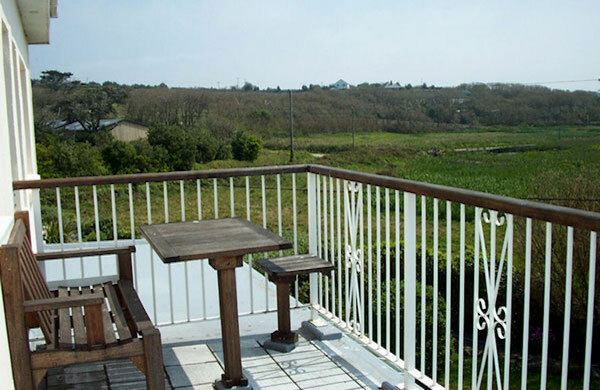 The Farmhouse is tucked away in the corner of Old Town Bay, just seconds from the beach, coastal path and nearby cafes. Sleeps two in twin beds. This light and airy first floor flat is well-appointed throughout and conveniently located for easy access into the heart of Hugh Town. Sleeps four in one double and one twin bedroom. A beautifully appointed second-floor apartment close to town and beaches. 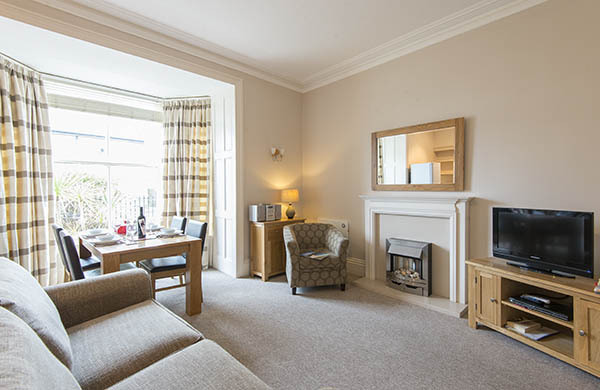 Sleeps up to three guests in two double bedrooms so ideal for couples or twin occupancy. 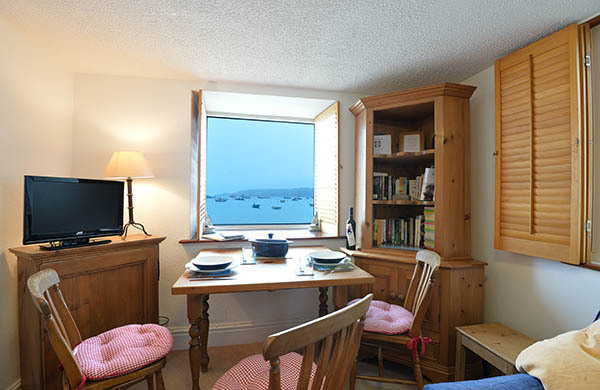 A second floor apartment with one of the best views on St Mary’s, overlooking the harbour. Sleeps six in three bedrooms that can be made to twin or double arrangements. 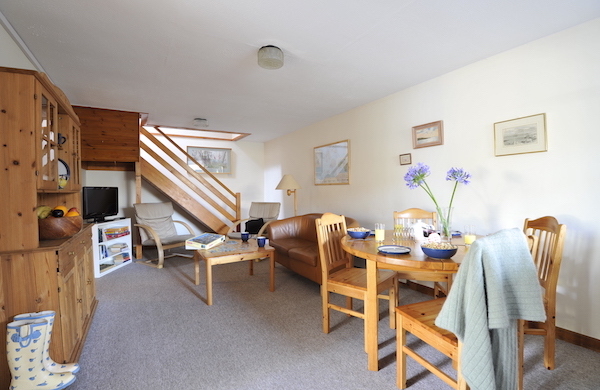 A spacious apartment 50 metres from Porthloo Beach with stunning views towards Samson and Tresco. Sleeps three in a single room and either a double or twin arrangement in the other. 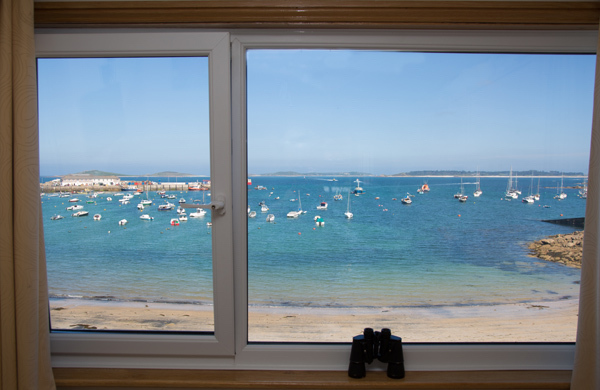 A stunning first floor holiday apartment situated on Town Beach with one of the best views on St Mary’s. 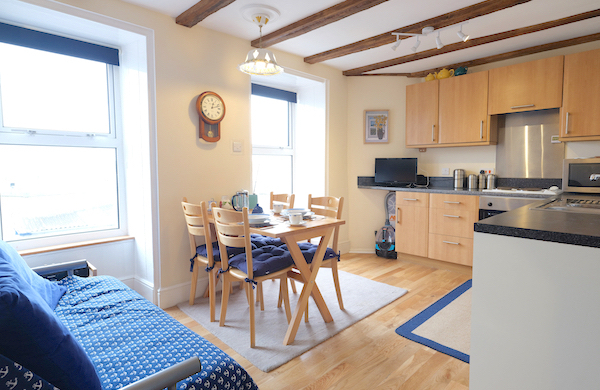 Sleeps four in two bedrooms that can be made to either a double or twin arrangement. Charming barn conversion located within its own idyllic grounds. Jasmine Cottage lies midway between Old Town and Hugh Town, and sleeps four in one double and one twin room. Studio apartment in the heart of Hugh Town. The name celebrates the splendid view from the kitchen window of the lifeboat on its mooring in St Mary's harbour. Sleeps two on a sofa bed. 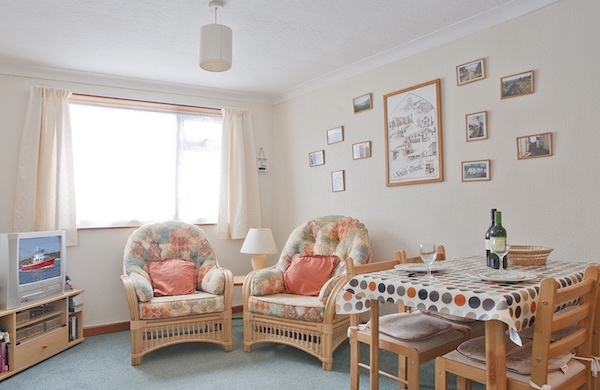 A spacious flat offering splendid sea views from the bedrooms and the garden. Conveniently located for both Hugh Town and Old Town. Sleeps four in one double and one twin room. 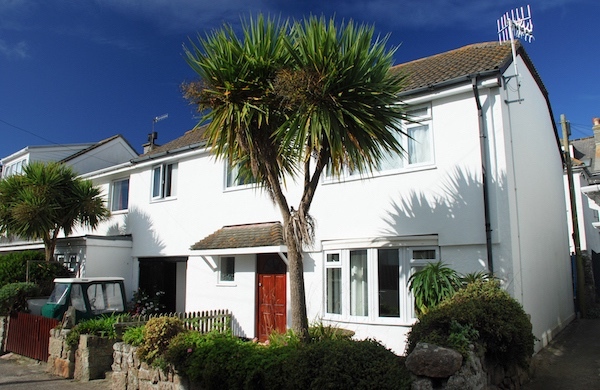 A bright ground floor flat set in a quiet cul-de-sac close to Porthcressa Beach. 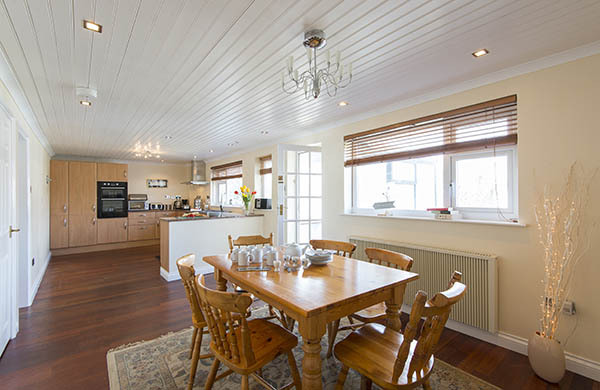 Manilla is ideally suited to a couple or a family with children as it sleeps four in either a twin or double arrangement and a bunk room. 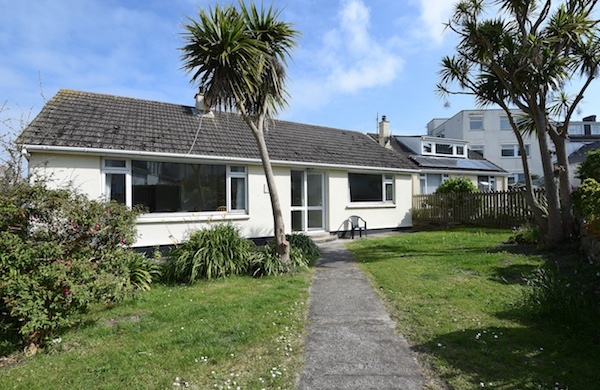 A large bungalow set in a quiet cul-de-sac close to the heart of Hugh Town and convenient for beaches and the quay. Merrick sleeps six in one double, one twin and one bunk room. Minalto is a striking three-storey Victorian town house converted into four high quality apartments. Apartment 1 is on two levels and sleeps four in a double and a twin bedroom. 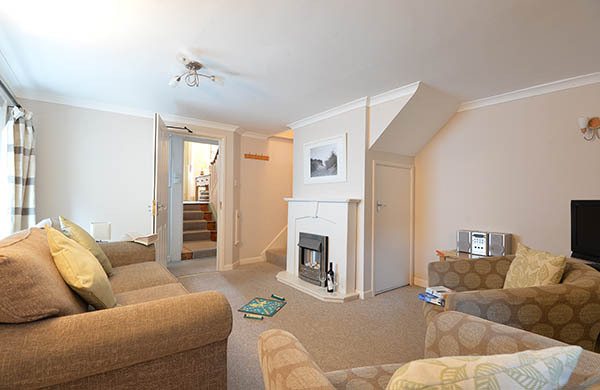 Situated a five-minute walk from the heart of Hugh Town and sleeping two in one twin bedroom. Two further guests can be accommodated on the sofa bed in the lounge. Well-appointed first floor apartment close to town and sleeping two in a twin bedroom. 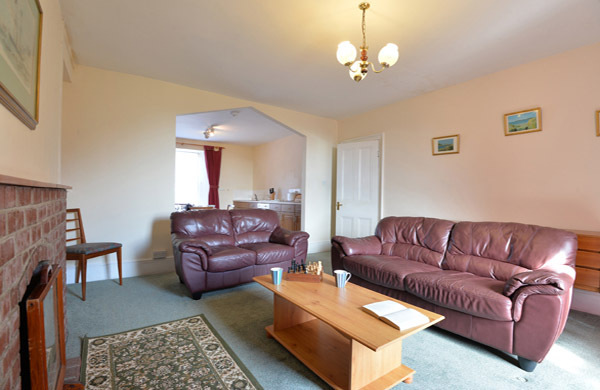 Two further guests can be accommodated on a sofa bed in the lounge. This comfortable second floor studio apartment benefits from views to the harbour from the front and the Garrison to the rear. Sleeps two in a double arrangement. 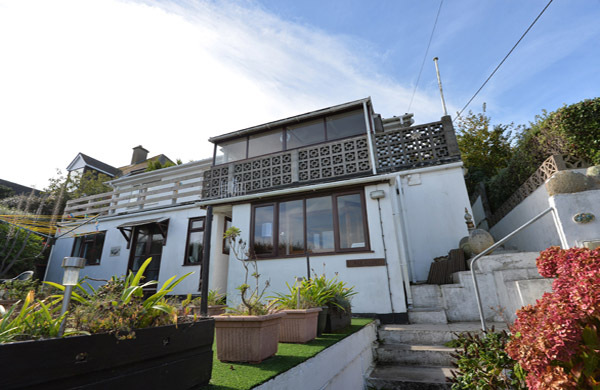 A semi-detached house located in a quiet pedestrian precinct with fine views from the main bedroom to Porthcressa Bay. Sleeps six in one double, one twin and one bunk room. 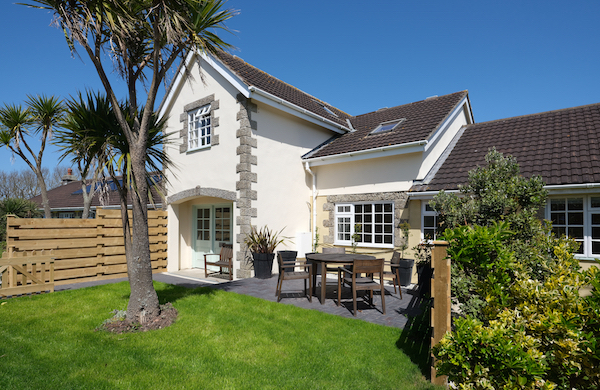 A delightful and beautifully presented holiday home situated in a quiet cul-de-sac close to town and minutes from the beach. Sleeps two in a double arrangement. 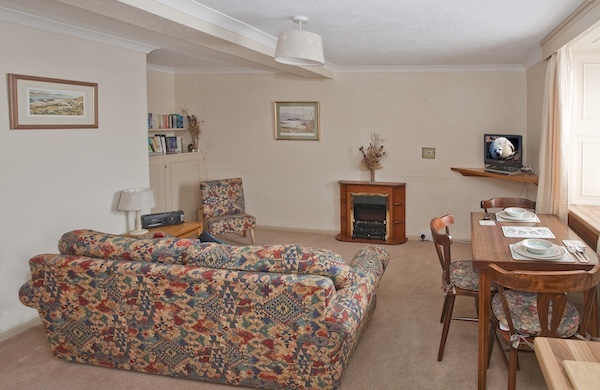 A beautiful, light and comfortable flat set in the heart of Hugh Town and just a short walk to the beach and harbour. Sleeps four in one double and one twin room. 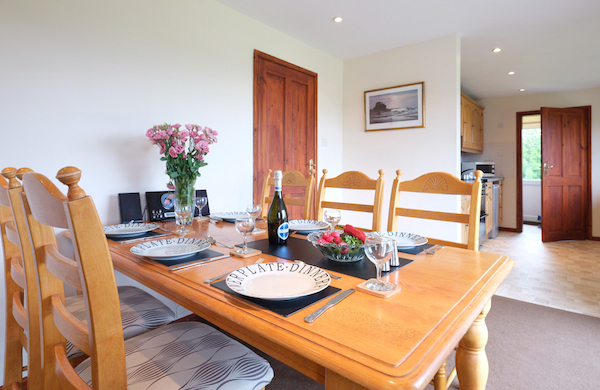 Situated just under a mile from Hugh Town, Porthlow Farm Chalets enjoy a rural setting close to the beach and are within easy reach of all amenities. Sleeps four in two twin bedrooms. A light and comfortable first floor apartment set in the heart of Hugh Town and only a short walk to the beach and harbour. 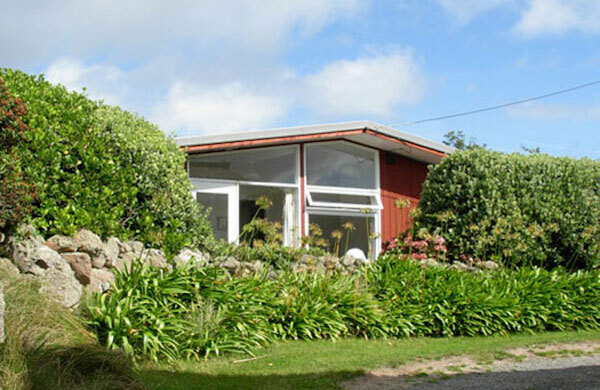 Sleeps four in one twin and one double bedroom. 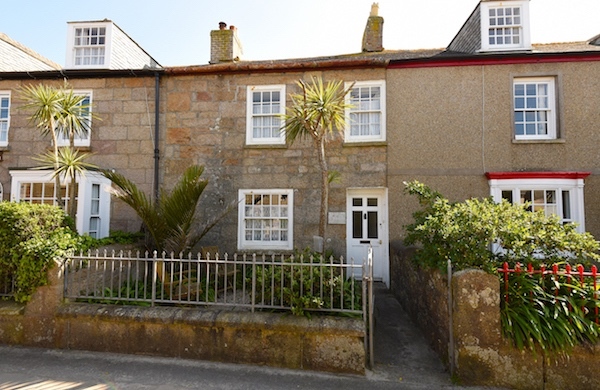 A light and comfortable ground floor apartment set in the heart of Hugh Town and only a short walk to the beach and harbour. 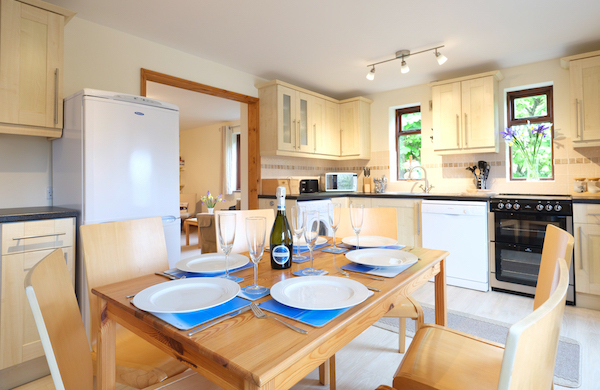 Sleeps four in one twin and one double bedroom. This first floor flat with sunny south facing aspect is located within easy access to all the amenities of Hugh Town. Sleeps four in one twin room and one bunk room. 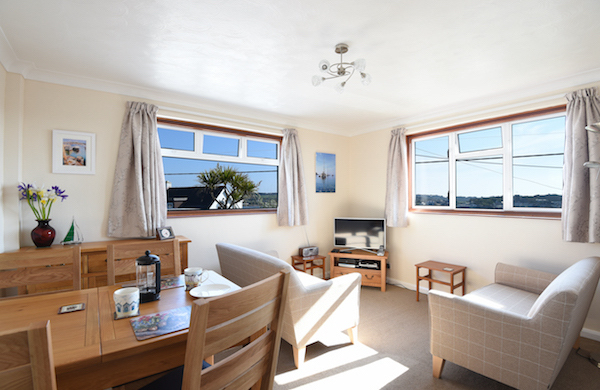 A well-appointed apartment at the hub of island activities offering stunning views of St Mary’s harbour and the islands beyond. Sleeps two in a sofa bed and also suited to single occupancy. 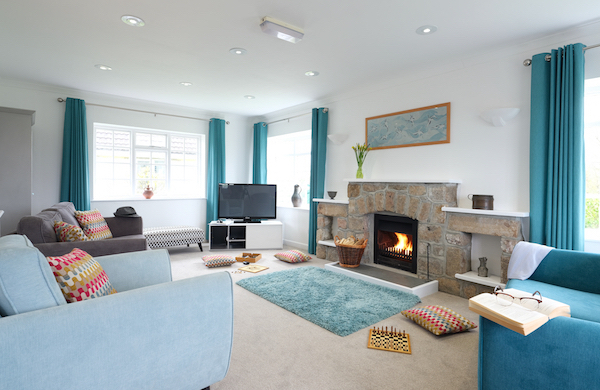 Situated on a working farm just a short walk from Porth Hellick Beach, Salakee is ideal for families or friends sharing. 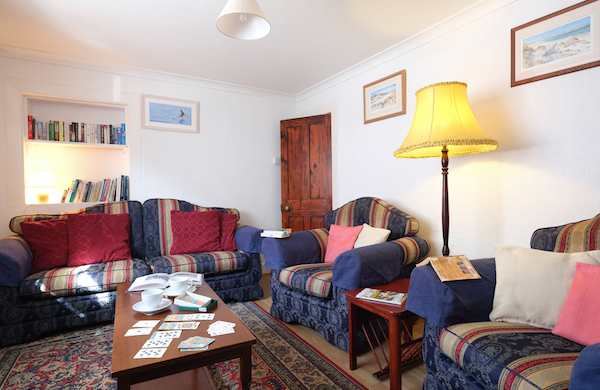 Sleeps five in one double room and a family room with three single beds. 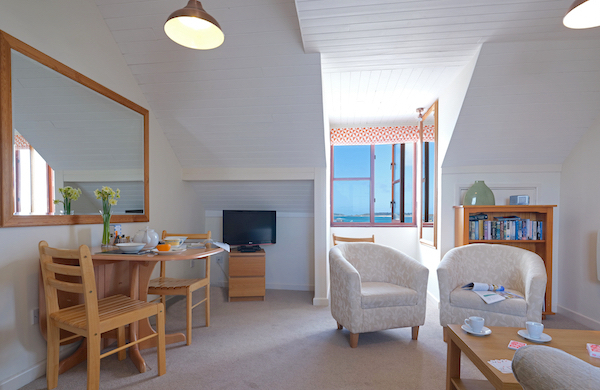 Located in an elevated position with enviable panoramic sea views Seascape is an ideal get away for up to 4 guests. 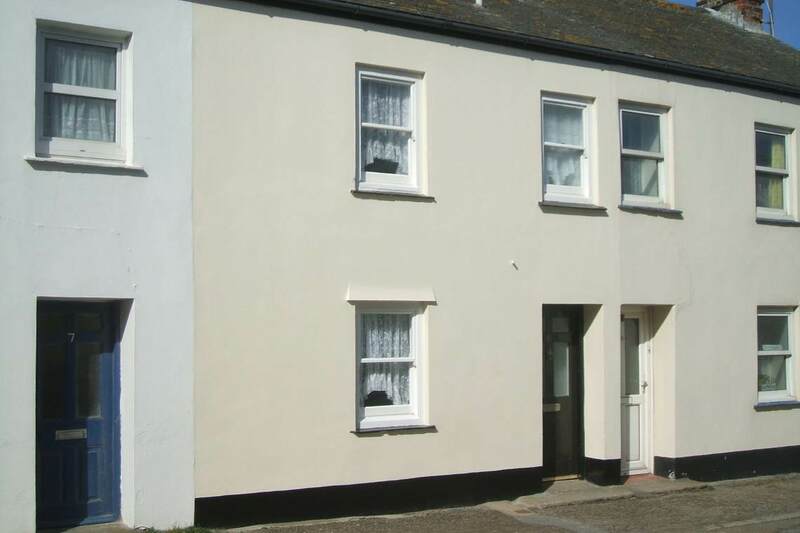 Its quiet location, just below Garrison wall, is only a few minutes walk from the quay and all the amenities of Hugh Town. 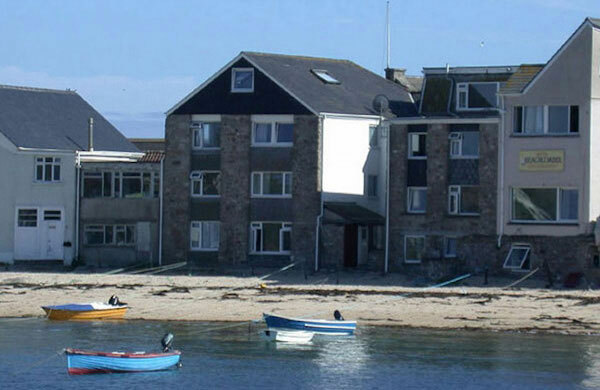 This first floor apartment enjoys uninterrupted views across the harbour to Tresco, Bryher and Samson. It is also less than a five-minute walk to Hugh Town. Sleeps two in a double arrangement. 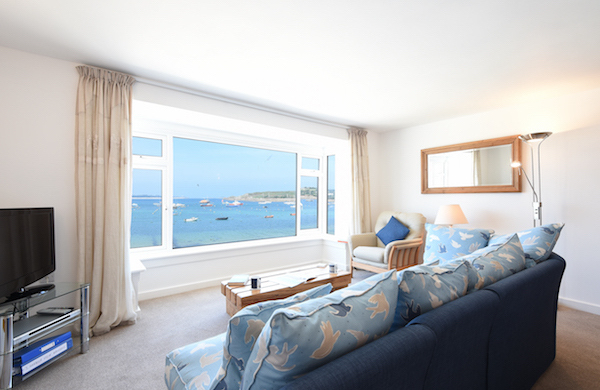 This second floor apartment enjoys spectacular views across the harbour to Tresco, Bryher and Samson. It is also less than a five-minute walk to Hugh Town. Sleeps two in a twin arrangement. 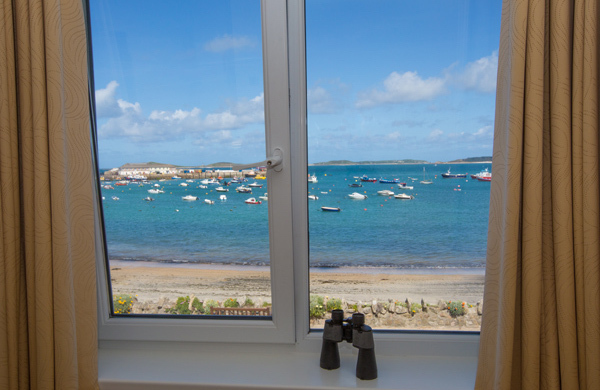 This first floor apartment enjoys spectacular views across the harbour to Tresco, Bryher and Samson. It is also less than a five-minute walk to Hugh Town. Sleeps two in a twin arrangement. 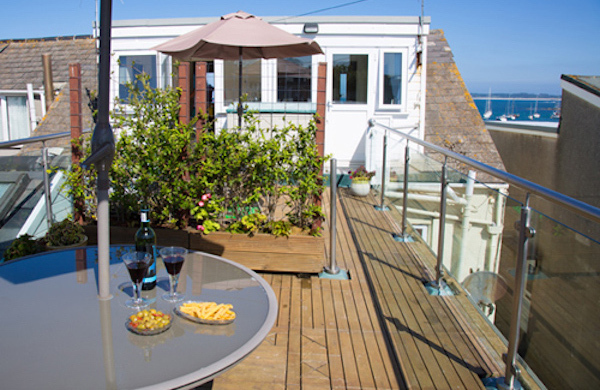 The Sun Deck is linked with Seaview Moorings and enjoys the same high specification living accommodation, with similar attention to detail and overall quality. Sleeps two in a double room. 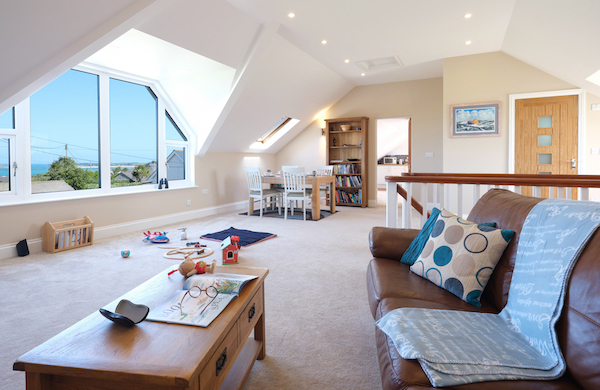 This second floor apartment enjoys uninterrupted views across the harbour to Tresco, Bryher and Samson. It is also less than a five-minute walk to Hugh Town. Sleeps two in a double arrangement. 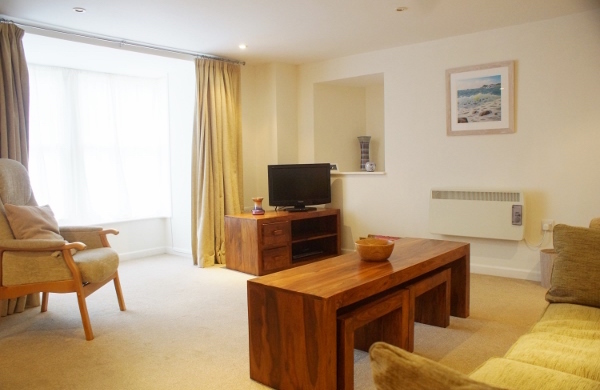 A comfortable apartment situated just 50 metres from Porthloo Beach, fitted to a high standard throughout and with outstanding sea views. Sleeps two in a double arrangement. 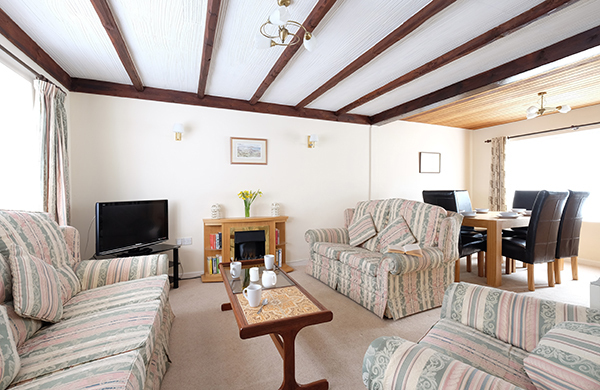 Beautifully appointed accommodation in a peaceful countryside setting about a mile-and-a-half from Hugh Town. Sleeps six in two bedrooms, each with a double and single bed. An ideally situated holiday home. Porthcressa Beach and the main street in Hugh Town are less than a one-minute walk away. Sleeps six in one double, one twin and one bunk room. 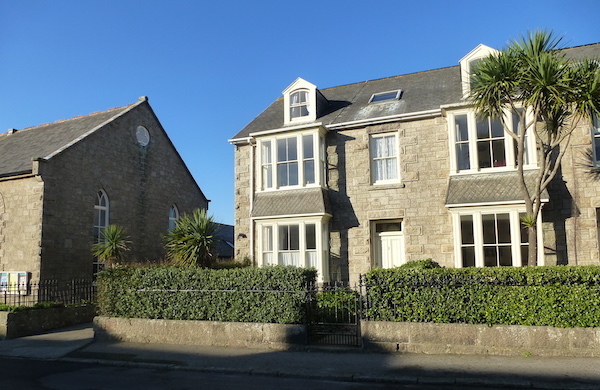 Immaculately presented accommodation in the heart of Hugh Town and convenient for beaches and the quay. 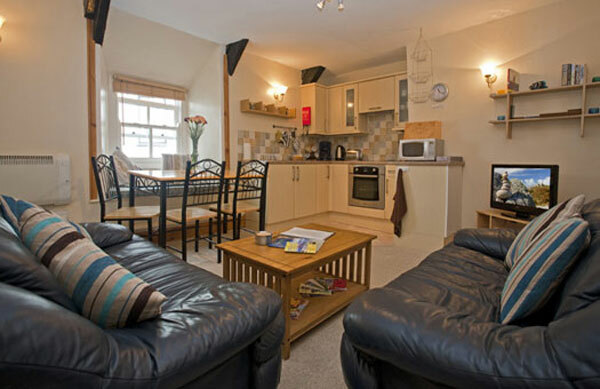 Sleeps five in three bedrooms made to double, twin and single arrangements. 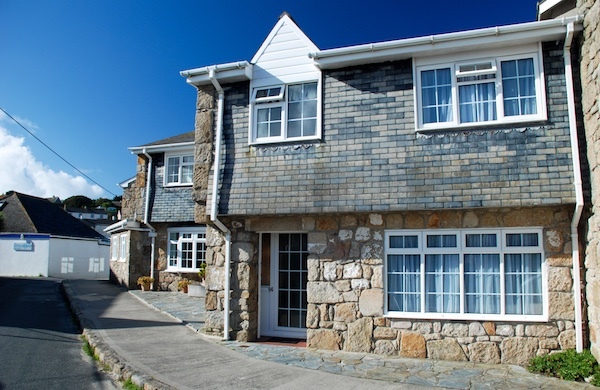 Step out the door and you can almost play on the beach when staying in this attractive town house just off the main street by Porthcressa. 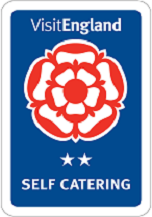 Sleeps six in a double en suite and two twin bedrooms. 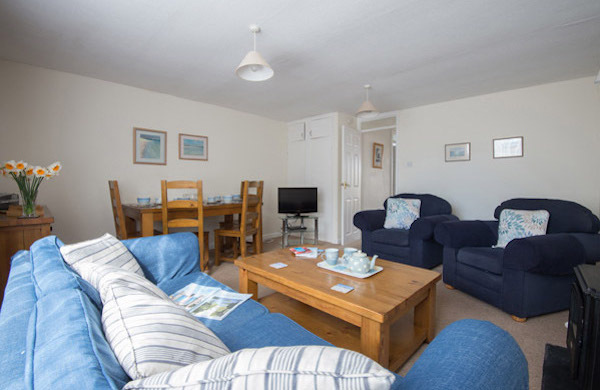 Slippen is a comfortable and spacious apartment located just 50 metres from Porthloo Beach with a private south facing garden. Sleeps two in a double arrangement. Spanish Ledge is situated in the heart of Hugh Town and within easy reach of local shops, pubs, restaurants and beaches. Flat 4 is on the first floor and sleeps two in a double arrangement. 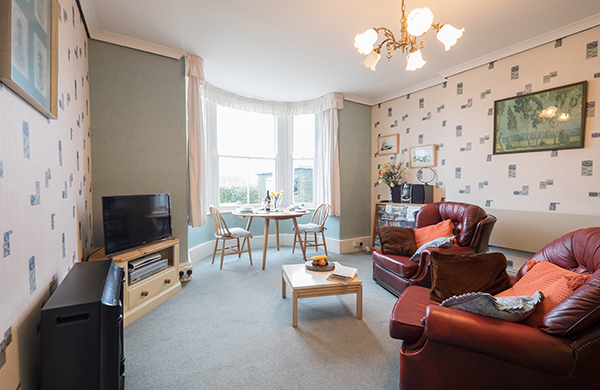 This period apartment contains large rooms and high ceilings and is ideally situated, just a short level walk to the heart of Hugh Town. 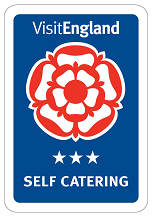 Sleeps three in a double room with extra single bed. 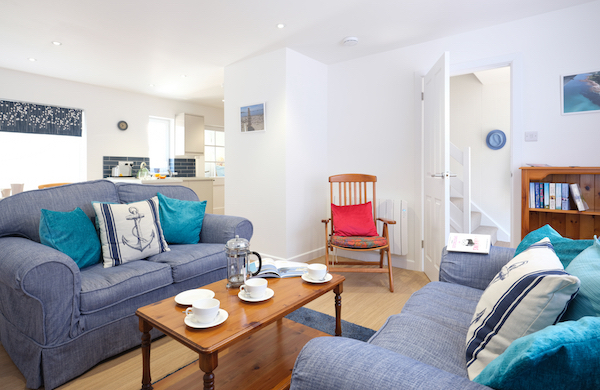 A holiday home tucked away in a quiet spot in the centre of Hugh Town offering easy access to shops, pubs, restaurants and the quay. Sleeps four in two twin bedrooms. Sunnyside Farm is a working farm and produces scented narcissi. 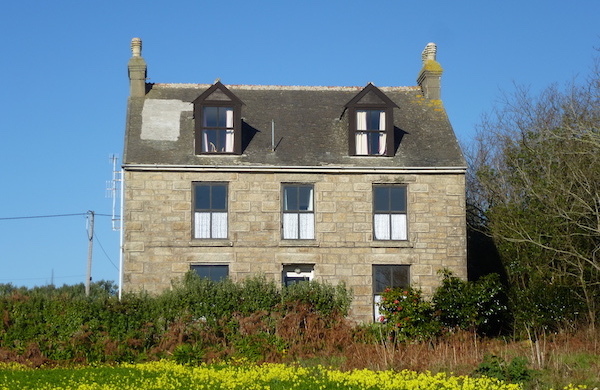 Its 19th Century farmhouse has been converted into holiday flats. The Bottom flat sleeps four in a twin and double arrangement. Sunnyside Farm is a working farm and produces scented narcissi. Its 19th Century farmhouse has been converted into holiday flats. The Middle flat sleeps four in a twin and double arrangement. Sunnyside Farm is a working farm and produces scented narcissi. Its 19th Century farmhouse has been converted into holiday flats. The Top flat sleeps two in a twin bed arrangement. Set in the heart of Hugh Town, facing an attractive park and within easy walking distance to the shops, restaurants, quay and beaches. Sleeps two in a double arrangement. 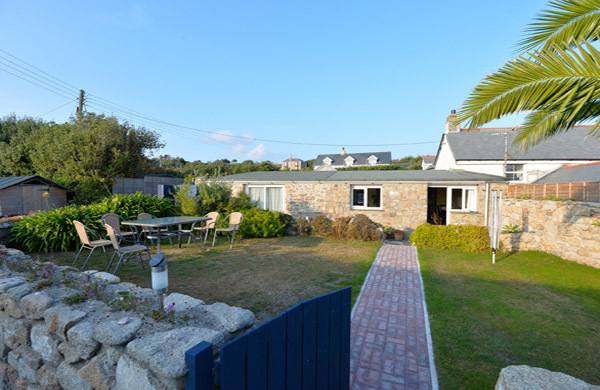 A well-appointed holiday home situated directly opposite Porthmellon beach and just a five-minute walk into the heart of Hugh Town. Sleeps six in one double and two twin bedrooms. 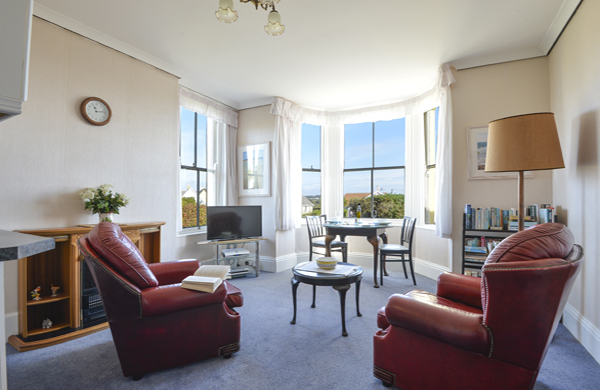 A spacious first-floor apartment with stunning sea views from the lounge and bedroom. 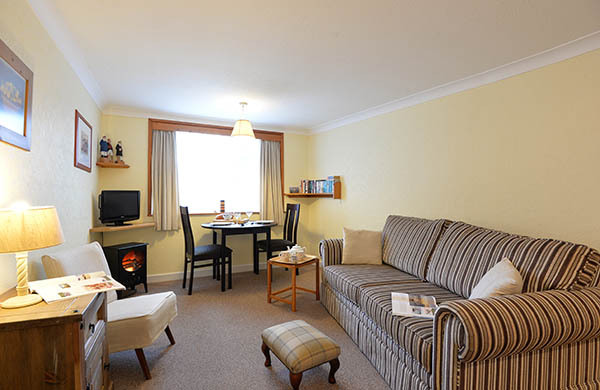 Sleeps two in a double bedroom with sofa bed to allow for twin occupancy or up to four guests. 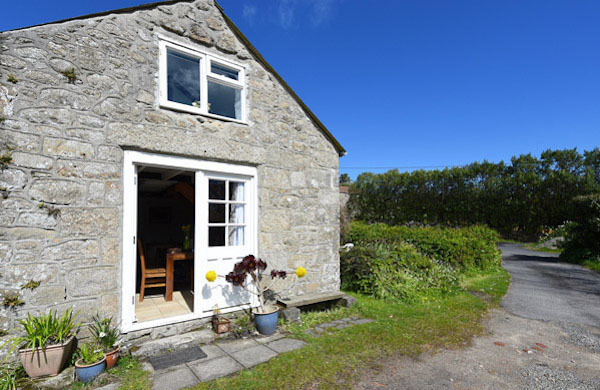 Situated on a working flower farm one mile from Hugh Town and a short walk from Porth Hellick Beach, Tremelethen sleeps five in one double bedroom and one room with three single beds. A high-quality apartment in an elevated position close to the heart of Hugh Town and with lovely garden views. Sleeps two in either a twin or double arrangement. 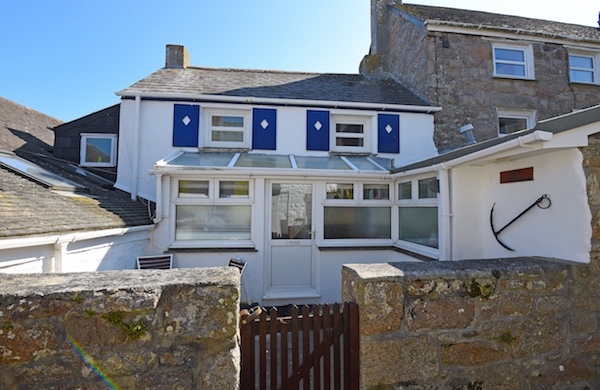 A traditional granite cottage situated in the heart of Hugh Town and convenient for beaches and the quay. Trevessa sleeps five in three bedrooms, one double, one twin and one single. A large detached bungalow with a private garden and within a short walk to the heart of Hugh Town and the quay. Sleeps six in double, twin and single arrangements. 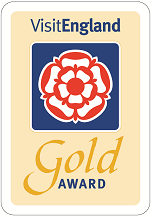 Nestled in the countryside, about a mile-and-a-half from Hugh Town, Watermill provides luxury accommodation for six guests in two double en-suite and one twin with private shower room. 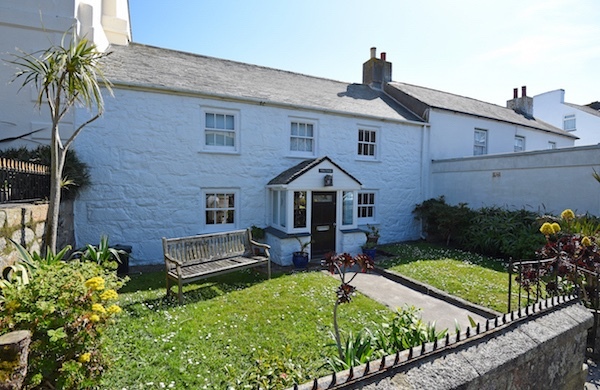 Delightful chocolate-box cottage in Hugh Town which enjoys a private garden and is conveniently located for shops, beaches and the quay. Sleeps six in one double, one twin and one bunk room. 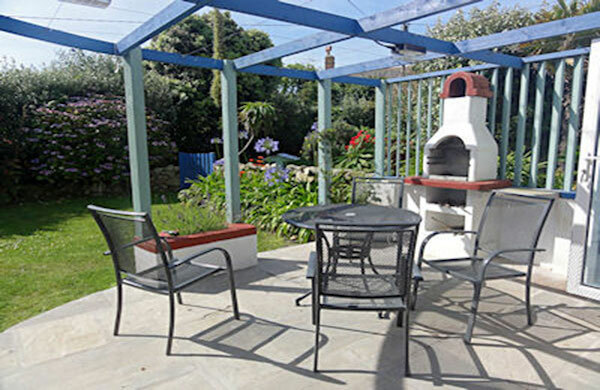 A ground floor apartment located just under a mile from Hugh Town, with a large private garden. Both bedrooms can be made to either a twin or double arrangement.